Located on the banks of Arabian Sea, Gokarna, literally meaning Cow’s Ear, is a small temple town in Uttara Kannada district of Karnataka. As per Hindu mythology, Lord Shiva was sent to Patalaloka by Brahma to undergo a severe penance. He ultimately emerged from the ear of a cow named Prithvi, a synonym for the Mother Earth. Therefore, the town is called Gokarna. Since this place served Lord Shiva as a womb and therefore it is known as Rudra Yoni and Adi Gokarna. Gokarna is a famous pilgrimage centre as well as a tourist attraction for people who want to explore the beauty and cultural heritage of India. To reach Goa from Bangalore, there is proper road connectivity available. Apart from self-driven vehicles, one can also hire private taxis and cabs to reach Goa. Additionally, frequent bus service is also functional from Bangalore to arrive at Goa. Dabolim Airport in Goa is the nearest airport to Gokarna. It is located around 140 kilometers away from Gokarna. The airport is well-connected to domestic cities as well as international cities in U.K. and Germany. Dabolim airport is well-connected to Bangalore International Airport. The National Highway 4 and Bangalore-Honavar road connect Bangalore and Gokarna. The journey from Bangalore to Gokarna via road will take around 8 hours. KRSTC buses connect Gokarna to Bangalore and other major cities in Karnataka. Located 1 kilometer away from Gokarna, Bhadrakali Temple is a religious site dedicated to Goddess Uma. Legends say that Lord Vishnu requested goddess Uma to settle in Gokarna after she was abandoned by Ravana. Goddess Uma, who is now worshipped as Goddess Bhadrakali in Gokarna, is thronged by many devotees. Located in proximity to Mahabaleshwar Temple, Mahaganapati Temple is a famous religious shrine in Gokarna. Dedicated to Lord Ganesha, the sanctum sanctorum features a 1.3 meter high black stone idol. As per mythology, Lord Shiva was pleased with Lord Ganesha, who succeeded in bringing Atmalinga back from Ravana, the king of demons. Therefore, pilgrims first come here to offer prayers to Lord Ganesha before heading towards Mahabaleshwara Temple. Next only to the Kashi Vishwanath Temple, in terms of holiness, Mahabaleshwara Temple is often dubbed as the ‘Kashi of the South’. On the occasion of Shivaratri, a major Hindu festival is conducted here. During the Shivaratri Festival, a stunning idol of Lord Shiva is mounted on the Mammoth temple chariot and is driven to the temple from the end of the bazaar near the Maha Ganpati Temple. A sea coast town near Gokarna, Kumta was a part of the North Kanara district during the British era. 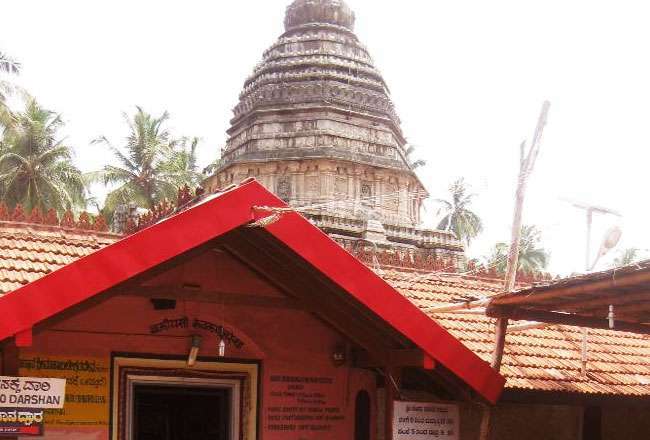 Now-a-days, Kumta Town is more famous for the temples. The town has beautiful attractions such as Kumta Beach, Baada Beach, Dhareshwar Beach and Mirja Fort. The view of a long stretched Kumta beach is a wonderful sight filled with thousands of sea birds. Nestled in the heart of the Western Ghats, amidst the picturesque forest of the Sahyadri Mountains, Yaana is a pilgrim center as well as a tourist destination. A commercial center and a small coastal town, Yaana is known for its magnificent mountains, cascading waterfalls and the most sacred temples. Yaana is a must visit for hikers and trekkers.